Copyright: ©2018 Ako SE, et al. This is an open-access article distributed under the terms of the Creative Commons Attribution License, which permits unrestricted use, distribution, and reproduction in any medium, provided the original author and source are credited. Background: Hematological abnormalities are probably the commonest complications with Human Immuno-deficiency Virus (HIV). Some antiretroviral (ARV) drugs have been documented to have cytopenic effects, in particular when used as a mono-therapy. The use of antiretroviral drugs could positively or negatively affect these parameters, depending on the choice of combination used. Records of transfusion associated with HIV patients during treatment in Cameroon are scarce. Hematological profile is supposed to be properly monitored during treatment with respect to other associated risk factors like duration on Anti-Retroviral Therapy (ART) and adherence to ART, to improve on the care of the patients and prevent further complications like transfusion. Method: A hospital-based descriptive cross-sectional study was conducted from January 2015 to May 2015. A total of 285 HIV-1/AIDS adult patients on Highly Active Antiretroviral Therapy (HAART) for at least 6 months were enrolled in this study. Participants were grouped into four based on, duration on HAART; Group one (6 months-1 year), Group two (>1 year-3 years), Group three (>3 years-5 years) and Group four (>5 years). Venous blood was collected and analysed using an automated hematology analyzer (Hematology analyzer Sysmex KX-21) for the following parameters: hemoglobin, number of platelets, total white blood cells and differential in HIV-1 patients. Results: Of the 285 patients studied, 167 (58.6%) were anemic, among which 52 (18.2%) were from group one; 113 (39.7%) had eosinophilia, among which 33 (11.6%) were from group one; 83 (29.1%) were neutropenic, among which 25 (8.8%) were from group four; 57 (20%) had leucopenia, among which 16 (5.6%) were both from group one and three; 40 (14%) had thrombocytopenia, among which 14 (4.9%) were from group three; 15 (5.3%) had thrombocytosis, among which 6 (2.1%) were from group two; 4 (1.4%) had leukocytosis, among which 2 (0.7%) were from group four; and 3 (1.1%) were neutrophilic. There was a significant statistic difference in hematological disorder among treatment groups (groups one, three and four) only for anemia P<0.05. Among the 285 patients, 22 (7.7%) had been transfused either one or more times during HAART. The prevalence of transfusion with respect to treatment groups were 8 (11%) from group two, followed by 5 (7%) from groups one and three, and lastly 4 (6%) from group four, with a statistically significant association between gender (P<0.001), age (P<0.020) and HAART regimen (P<0.001) with transfusion. Conclusion: There were significant prevalence of anemia, eosinophilia, neutropenia, leucopenia and thrombocytopenia in HIV-1 patients on HAART in the south west region of Cameroon. A close monitoring of hematology abnormalities of these patients on HAART is advised. The transfusion rate after initiation of HAART is common in the south west region of Cameroon, and it is significantly associated with HAART regimen, age and gender. In Cameroon, the percentage of HIV positive patients on treatment was approximately 6.5% between 2012 and 2013 . By the end of December 2013, 131,531 HIV positive patients were on treatment in the country with coverage of 47.4%. In the south west region of Cameroon, 454 children and 13,473 adults are on treatment , making them the fourth largest cohort in the region receiving treatment. The regimens commonly used for adults in the south west region of Cameroon comprise of lamivudine (3TC), tenofovir (TDF), stavudine (d4T) or zidovudine (AZT), and nevirapine (NVP) or efavirenz (EFV), which are grouped as regimen A(AZT/3TC/NVP), B(AZT/3TC+EFV), C(TDF/3TC+NVP), D(TDF/3TC/EFV) and 2C(TDF/3TC+LPV/r). Studies have shown associations between Hematological-related disorders with antiretroviral drugs (ARV) [2,3]. But, studies on the prevalence of hematological abnormalities with respect to duration on Highly Active Antiretroviral Therapy (HAART) have not been documented in Cameroon. The adverse effects of lamivudine in combination with zidovudine include neutropenia, anemia, thrombocytopenia and transient rise in liver enzymes , while that of nevirapine has been reported as eosinophilia, granulopenia and jaundice. On their part, anemia, neutropenia, and thrombocytopenia have also been reported as adverse effects of stavudine . A global total of 36,700,000 people were living with HIV in 2015, of which 6,400,000 of them were identified in West and Central Africa. The Antiretroviral therapy (ART) coverage in West and Central Africa stands at 28%, with a total of 1,796,460 patients on HAART . By the year 2020, programme managers in the Cameroon National AID committee plan to provide coverage for more than 80% of the people (aged 15 and older) who need ART. This will help to prevent new infections and equally reduce the number of people in need of treatment, and decrease the resources required for ART in the future [7,8]. Data on the prevalence of hematological disorders in Cameroon are scarce. Studies have shown that over 65% of patients with HIV infection at some point become anemic . Anemia is of varied etiology and hence requires careful workup. Similarly, thrombocytopenia of immune origin is common and often an early manifestation of the disease. Although less commonly discussed, neutropenia also occurs in these patients. Hematology parameters are important monitoring tools for assessing treatment and prognosis in HIV [9-11]. First-line ART regimens recommended for adults in Cameroon include lamivudine (3TC), tenofovir (TDF), stavudine (d4T) or zidovudine (AZT), and nevirapine (NVP) or efavirenz (EFV) in a combination of two Nucleotide or Nucleoside Reverse Transcriptase Inhibitors/Non-Nucleoside Reverse Transcriptase Inhibitors (NRTIs/NNRTI) A(AZT/3TC/NVP), B(AZT/3TC+EFV), C(TDF/3TC +NVP), D(TDF/3TC/EFV) . Mathews, 2013  demonstrated that the hematological abnormalities (anemia, thrombocytopenia, neutropenia, eosinophilia and leucopenia) are prevalent through all stages of the disease, and that some of these may serve as indicators of clinical progression. Being one of the major direct causes of death in most HIV/AIDS patients on treatment, anemia comes with the need to know the prevalence of such abnormalities during treatment. Furthermore, studies have shown that some severely immune-suppressed HIV- 1 infected patients receive transfusions in the course of their illness. The Frequency of multiple infections of varied types and origins, and zidovudine (AZT) therapy can contribute to the anemia that necessitates transfusion. However, whether transfusion increases the likelihood of opportunistic infection in such patients has not yet been resolved . A previous study of HIV-l-infected patients not receiving AZT suggests that transfusion has a deleterious effect on survival . But, transfusion records and its association with duration, sociodemographic and ART regimens during ARV treatments in Cameroon have not been documented. This study, therefore seeks to ascertain the magnitude of hematological related disorders in patients on ART in the south west region of Cameroon, with respect to duration on HAART and the frequency of transfusion in relation to other factors among these patients after initiation on ARV treatment. A cross-sectional study was conducted on 285 adult patients with HIV, who received HAART in selected HIV treatment centres in the south west region of Cameroon between January 2015 and May 2015. Eligible participants, with adherence level on HAART >95% were solicited for the study. The study population was divided into four groups based on the duration of ART. Group one (6 months-1 year), group two (>1 year-3 years), group three (>3 years-5 years) and group four (>5 years). Adult HIV positive pregnant women, children and patients on other medications (Traditional herbs, anti-malarial, anti-tuberculosis) at the time of sampling were excluded from the study (Table 1). Table 1 Demographic characteristics of study participants. The study was carried out in the south west region of Cameroon, precisely in the following health institutions: Buea Regional Hospital, Limbe Regional Hospital, Kumba District Hospital, Mamfe District Hospital and Muyuka District Hospital. These are government institutions with authorised HIV treatment centres. The treatment centres have Unit in-charge of patients with HIV (UPEC) where all patients go to receive treatments and consult, and a sample collection unit where samples are collected before being sent to the laboratory for analysis. Venous blood (4 ml) was collected and stored in two 5 ml ethylene-diamine-tetra-acetate (EDTA) vacutainer tubes, and the whole blood sample was processed within 5 h after collection. The full blood count parameters measured consisted of hemoglobin (Hgb), hematocrit (HCT), white blood count (WBC), platelet (PLT) and differential T lymphocytes with the Auto Hematology Analyzer (Hematology analyzer Sysmex KX-21). Before analysis, blood samples in the 5 ml EDTA tubes (k3-EDTA salt) were homogenised on a rotary mixer for two minutes. The tubes were uncapped and the probe of the analyzer immersed into the tubes. The probe sipped approximately 15 μL of blood, and results were generated within 30-45 s. Five microlitres (5 μL) of venous blood, was used to prepare a thin film. Hemoglobin, eosinophils, platelets, total white cell count, and neutrophils were used to determine the hematological disorders. Anemia classification was as follows: non-anemic (Hgb>12 g/dL), mild (9.6-11.9 g/dL), Moderate (8.0-9.5) and severe (<8.0 g/dL) . Eosinophilia was defined as >3%; thrombocytopenia was define as platelets <150 cells/μL; leukopenia was define at WBC<4000 cells/μL and neutropenia was define at <40%. Data on the socio-demographic and clinical characteristics of the study participants were collected through a pre-tested structured questionnaire, interviews and a review of medical records. Findings from the patients’ records and questionnaires were used to evaluate the adherence on treatment and transfusion rate. A review of patients’ records was also done to check for any other health complication that might influence the hematology results within the time of data collection. This was intended to note the number of time the patient has been transfused for whole blood since the commencement of HAART and any situation or period of pause in taking treatment. Questionnaires were used to further confirm or correlate some information collected from the records and also to obtain information on the demography of participants. Collected data were checked, edited for completeness and processed before they were keyed into Excel 2013 and transported to Statistical Package for Social Sciences (SPSS) version 18 (SPSS Inc., Chicago.IL. USA) for Windows by a trained technician. Analysis for any discrepancies between records of the same patients was carried out in two databases. A descriptive analysis was carried out to obtain the percentages while ANOVA was used to test for differences between the means in different duration. The Chi square test was used to determine the relationships between transfusion and other variables. P-value <0.05 was considered as statistically significant. Ethical clearance authorization letter was obtained from the Institutional Review Board of the faculty of Health Sciences (IRBFHS), University of Buea. A permission to conduct the study was equally obtained from the regional delegation of public health south west region of Cameroon, and from the treatment centres of the hospital involved. Participants were informed about the objectives of the study and they were assured of confidentiality of every piece of information they provided. The participants were equally given the right to withdraw in case they no longer wanted to continue along the line. Written informed consents were obtained from all participants. The hematological profiles of 285 HIV positive patients on HAART were studied and transfusion occurrence recorded. Of the 285 patients, 216 (75.8%) of the patients were females while 69 (24.2%) were males. The overall mean age was 41 ± 11 years, within the range of 20-75 years. Furthermore, 172 (60.4%) of our study participants were on regimen D(TDF/3TC/EFV), followed by 51 (17.9%) on regimen A(AZT/3TC/NVP), 48 (16.8%) on regimen C(TDF/3TC +NVP), 8 (2.8%) on regimen B(AZT/3TC+EFV), and lastly 5 (1.8%) on regimen 2C(TDF/3TC+LPV/r) (Table 1). The mean CD4+ T-Cell and CD8+ T Cells with respect to duration on HAART are illustrated in Table 1. After analysing our data, we observed that anemia occurred in 167 (58.6%) of the 285 HIV patients (Figure 1). We also noted that the prevalence of anemia decreased steadily with longer time spent on the ART, from 18.2% in group one to 16.1% in group two; 13.3% in group three and, 10.5% in group four. Finally, the mean hemogloblin concentration was significant in the various durations on HAART (P<0.001). Figure 1: Prevalence of hematological abnormalities in patients on HAART in the south west region of Cameroon. We equally found out that eosinophilia was the second most common abnormality experienced by our subjects. Our findings showed 115 of the 285 patients with an overall prevalence of 39.7% (Figure 1). The prevalence of eosinophilia decreased from 11.6% in group one to 10.2% in group two; and it increased back to 10.9% in group three, before decreasing finally to 7.7% in group four patients on HAART (Table 2). In all the various durations on HAART, mean eosinophilia was significant (P<0.001) when compared to normal eosinophils count in our study (Table 3). Table 2 Hematological manifestations of HIV patients on HAART in the South West Region of Cameroon according to duration on ARV. We further observed in our study that neutropenia had an overall prevalence of 28.8%, with 83 cases out of the 285 patients. In fact, neutropenia was more common among group four patients on HAART, with a prevalence of 8.8%; while the prevalence in group one, two and three were almost the same with 6.7%, 7% and 6.7% respectively (Table 2). The mean neutropenia was significant when compared to normal neutrophil count in all the groups (P<0.001) (Table 3). Table 3 Comparing hematological disorders with respect to duration on HAART. We also realised that neutrophilia was found in 3 cases of the 285 patients, with an overall prevalence of 1.1%. To be specific neutrophilia was found among groups one, two and four, with equal prevalence of 0.4% respectively. Unlike the others neutrophilia was not recorded among group three patients (Table 2). Of the 285 patients, we noticed that 57 (20%) had leukopenia. Leukopenia was recorded among groups one, two and three patients with a prevalence of 5.6%, 4.9% and 5.6%, respectively; while the least findings were seen among group four patients with 3.9% (Table 2). It was also observed that duration on HAART had a significant influence on mean normal WBC and abnormal WBC among groups one, two and three patients only (P<0.005, P<0.001 and P<0.002, respectively) (Table 3). We also found out that 4(1.4%) of the 285 patients had leukocytosis. This was more prevalent among group four patients with 0.7%; compare to groups one and three with the same prevalence of 0.4% (Table 2). However Leukocytosis was not observed among group two patients in our study. Thrombocytopenia occurred in 40 (14%) of the 285 HIV patients. The prevalence increased among group three patients (4.9%); compared to groups one and two (3.5% and 3.2% respectively). Group four patients had the least occurrence with 2.5% prevalence (Table 2). In addition the mean normal platelets count of patients in group one on HAART had a significantly higher level (P<0.017) than the abnormal platelets count, while there were no significant differences from all the other groups on HAART (Table 3). of the thrombocytosis cases were observed among group two patients, with a prevalence of 2.1%; followed by group four with 1.8%; and the least was observed in group one with 0.4% prevalence rate (Table 2). Of the total number of study participants, 22 (7.7%) had undergone transfusion after commencement of HAART. Also, we noticed that transfusion occurrence was more common among group two patients (8%), when compared to groups one (7%), three (7%) and four (6%) (Table 4). Moreover, among the participants, females had the highest record of transfusion (6%), when compared to the males (1.6%). In addition, transfusion was more prevalent among the age group 20-35 years (4.6 %), followed by 36-45 years (1.6%), and lastly 1.4% in >45 years (Table 4). From the HIV patients receiving different regimens across the region, transfusion was mostly recorded from regimen A (3.2%), followed by B (2.8%), C (1.4%); and lastly regimen D (0.5%) with the least occurrence (Table 4). Table 4 Transfusion among HIV Patients on HAART in the South West Region of Cameroon. The study’s results show that there is a significant association between gender (P<0.001), age (P<0.020) and type of HAART regimen (P<0.001) with transfusion occurrence. But there was no significant association in transfusion between the different durations on HAART (P>0.05) (Table 5). Table 5 Relationship between gender, age, regimen and duration on HAART with transfusion of HIV patients in the South West Region of Cameroon. The most common hematological abnormality observed in this study was anemia with 58.6%. While 38 (13%) had moderate anemia, 128 (44.9%) had mild anemia and 1 (0.4%) had severe anemia, This might be as a result of the numerous drugs used for the treatment of HIV patients in these treatment centres; frequent changing of regimens for the patients without any prior testing and other prophylaxis medications used for opportunistic infections that might cause anemia from bone marrow suppression. Drugs like ziduvodine and stavudine have been associated with these abnormalities [2,4,5]. Also, both mild and moderate anemia was found to be more prevalent in patients on 6 months to 1 year on antiretroviral therapy, with 52 (18.2%) patients. The prevalence of anemia was equally found to be lower as the duration on antiretroviral therapy increased. It is worth pointing out that these findings are in accordance with other studies carried out by Pandav et al. , Henry et al. ; and Sullivan et al. , who found out that anemia was more prevalent in patients who have been on antiretroviral treatment for less than 12 months; and that HAART reduces the prevalence of anemia in patients with HIV/AIDS when taken for more than 12 months. Biological mechanisms may explain the variation in anemia status during ARV therapy, given the high occurrence of chronic disease and opportunistic infections that occur during the early stages of HIV infections , and promote inflammatory cytokines. In addition the prevalence of neutropenia in this study was 29.1%; among which 25 (8.8%) were from group four. This may be due to prolonged usage of zidovudine-based regimens among these patients. There was no significant difference between the various durations of patients on HAART and neutropenia. These findings are consistent with those of Enawgaw et al. , who reported 28.3%. However, it is contrary to Pandav et al. findings that show a lower prevalence of neutropenia (2.4%). Several mechanisms have been associated with neutropenia which include the usage of several medications that are commonly prescribed for HIV infected patients , decreased colony growth of CFU-GM , the secretion of soluble inhibitory substances by HIV infected cells , and decrease serum levels of G-CSF . On its part, the prevalence of thrombocytopenia in our study participants was 14%. Thrombocytopenia was more prevalent in group three with 4.9%, but it occurred in all the other durations in an irregular pattern. The prevalence of thrombocytopenia in this study was higher than that of Ballah et al. , Pandav et al. , and Enawgaw et al. . Duration on HAART was not associated with reduced prevalence of thrombocytopenia. This was in line with similar findings carried out by Ballah et al. that showed that there was no significant change in the level of platelets throughout 30 month duration on HAART; while our study was in contrast with that of Pandav et al. that reported HAART was associated with reduced prevalence of thrombocytopenia. Mechanisms associated with thrombocytopenia include an infection of the megakaryocytes by HIV . Thrombocytosis was seen in 5.3% of our patients, among whom 6 (2.1%) were from group two. This is contrary to that observed by Mathews et al. that recorded 0.99%. The overall prevalence of leukopenia in our study was 20%, among which 16 (5.6%) were both from groups one and three. Leukopenia was also prevalent with all duration on HAART, and these findings are consistent with different studies such as those carried out by Enawgaw et al. , (26.6%), Akinbami et al. (26.8%) . The findings of our study were contrary to those of Pandav et al. , who recorded a 5% prevalence. Leukocytosis had an overall prevalence of 1.4%. This might illiterate the effective adherence of patients on their chemoprophylactic therapy and ART. This finding is much lower than that observed by Mathews et al. who recorded 6.93%. It probably reflects the effective usage of prophylaxis like cotrimoxazole among our study participants against various opportunistic infections that are more commonly associated with leukocytosis in HIV patients. Also the prevalence of eosinophilia among our study participants was 39.7%. This high prevalence might be due to parasitic infections that are mostly common in this region, and different findings were reported by Mayar et al. and Mathews et al. , who reported a lower prevalence of 9.7% and 1.6%, respectively in their studies. Last but not the least, transfusion cases recorded in our study was 25 (8.8%), from the total number of participants. Among them, 8 (7.7%) were from group two and among participants on regimen A (2.3%). A higher number in transfusion (30%) was recorded in another study carried out by Walker et al. . The possible mechanisms might be due to severe adverse effects of lamivudine in combination with Zidovudine  and hematopoietic failure . The frequent transfusion and other abnormal hematological manifestations of patients on highly active antiretroviral therapy in most of the 5 HIV treatment centres in the south west region of Cameroon clinically signify poor treatment response. Larger sample sizes may be needed for confident conclusions to be drawn. Pretesting of HAART regimen should be initiated in most treatment centres for better management of the patients and health personnel should be sensitive on the risk of changing regimens without proper assessment of the patients. Further studies on hematological manifestations and the rate of whole blood transfusion in all the HIV treatment centres are needed in order to develop effective measures, in preventing adverse outcome in these patients on HAART. This study was approved by the Faculty of Health Sciences Institutional Review Board, University of Buea, Cameroon. Simon Eyongabane Ako: was accountable for all aspects of the work, in ensuring that questions related to the accuracy or integrity of any part of the work were appropriately investigated and resolved. Longdoh Anna Njunda: gave the final approval of the version to be published. Eric Achidi Akum: made substantial contributions to the conception and design of the work. Jules Clement N. Assob and Pokam Thumamo Benjamin: critically studied the work for important intellectual content. Enoh Jude Eteneneng; Wabo Bernard and Njouminie Fabrice : were involved in data collection, analysis and drafting of the manuscript. The authors would like to thank the directors, laboratory and UPEC staff of the Buea Regional Hospital, the Limbe Regional Hospital, the Mamfe District Hospital, the Kumba District Hospital and the Muyuka District Hospital, for their permission and help in the collection, processing and analysis of the laboratory test.Also we thank the delegate at the Ministry of public Health South west region Cameroon , for clearance to effectuate this study and all the participants for their kind support and cooperation. Agarwal MB (2005) HIV HAART Related Haematological Disorders: Diagnosis and Management. Medicine Update 143: 705-708. Bain BJ (1997) The haematological features of HIV infection. Br J Haematol 99: 1-8. Akam AJ (2005) Prevalence of hepatotoxicity and numbers of CD4 cells in HIV/AIDS infected adult patients an antiretroviral therapy. A multi-centric study carried out in some major HIV treatment centers in Cameroon: HCY/CHU/PH. Bachelor of Medical laboratory Science, Department of Medical Laboratory Science, Faculty of health Sciences, University of Buea, Buea, Cameroon, dissertation 56. Koffi K, Gershy-Damet GM, Peeters M, Soro B, Rey JL, et al. (1992) Rapid spread of HIV infections in Abidjan, Ivory Coast, 1987-1990. Eur J Clin Microbiol Infect Dis 11: 271-273. Cameroon National Strategic Plan to Fight Against HIV, AIDS and STIs (2014-2017) Plan Strategique National de lutte Contre le VIH, le SIDA et les IST 2014-2017. Tripathi AK, Kalra P, Misra R, Kumar A, Gupta N (2005) Study of bone marrow abnormalities in patients with HIV Disease. J Assoc Physicians India 53: 105-110. Akinbami A, Oshinaike O, Adeyemo T, Adediran A, Dosunmu O, et al. (2010) Hematologic Abnormalities in Treatment-NaÃÂ¯ve HIV Patients. Infect Dis: Research and Treatment 3: 45-49. Coyle TE (1997) Hematologic complications of human immunodeficiency virus infection and the acquired immunodeficiency syndrome. Med Clin North America 81: 449-470. Cameroon National Integrated HIV Guidelines (2014) Directives Nationales de Prevention et de Prise en Charge du VIH au Cameroun. Mathews SE, Srivastava D, Balayadav R, Sharma A (2013) Association of hematological profile of human immunodeficiency virus-positive patients with clinicoimmunologic stages of the disease. J Lab Physicians 5: 34-37. Sloand E, Kumar P, Klein HG, Merritt S, Sacher R (1994) Transfusion of blood components to persons infected with human immunodeficiency virus type 1: relationship to opportunistic infection. Transfusion 34: 48-53. Vamvakas E, Kaplan HS (1993) Early transfusion and length of survival in acquired immune deficiency syndrome: experience with a population receiving medical care at a public hospital. Transfusion 33: 111-118. Pandav AB, Nilkanth SP, Lanjewar DN, Bhagwat RV (2013) Haematological profile HIV positive patients in relation to immune status and stage of the disease Ã¢ÂÂ A hospital-based cohort from Western India. J Pharm Biomed Sci 36: 1877- 1886. Henry DM, Kukwah AT, Mbunkah HA, Bernard AN, Pascal NA, et al. (2014) Immunohaematologic and virologic responses and predictors of virologic failure in HIV-1 infected adults on firstline antiretroviral therapy in Cameroon. Infect Dis Poverty 3: 5. Sullivan PS, Hanson DI, Chu SY, Jones JL, Ward JW (1998) Epidemiology of anemia in human immunodeficiency virus infected persons: Results from the multistate Adult and Adolescent spectrum of HIV Disease Surveillance Project. Blood 91: 301-308. Semba RD, Shah N, Vlahov D (2001) Improvement of Anemia among HIV infected injection drug users receiving Highly Active Antiretroviral Therapy. J Acquir Immune Defic Syndr 26: 315-319. Enawgaw B, Alem M, Addis Z, Melku M (2014) Determination of hematological and immunological parameters among HIV positive patients taking highly active antiretroviral treatment and treatment naÃÂ¯ve in the antiretroviral therapy clinic of Gondar University Hospital, Gondar, Northwest Ethiopia: a comparative cross-sectional study. BMC Hematol 14: 8. Bagnara GP, Zauli G, Glovannini M, Re MC, Furlini G, et al. (1990) Early loss of circulating hematopoietic progenitor cells in HIV-1 infected subjects. Exp Hematol 18: 426-430. Leiderman IZ, Greenberg ML, Adelsberg BR, Siegel FP (1987) A glycoprotein inhibitor of in vitro granulopoiesis associated with AIDS. Blood 70: 1267-1272. Mauss S, Steinmetz HT, Willers R, Manegold C, Kochanek M, et al. (1997) Induction of granulocyte colony-stimulating factor by acute febrile infection but not by neutropenia in HIV seropositive individuals. J Acquir Immune Defic Syndromes 14: 430-434. 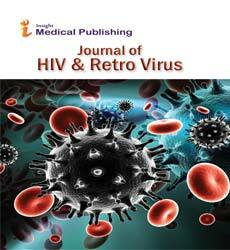 Ballah AD, Ibrahim Y, Hauwa SB, Ali UA, Abdullahi AB (2013) Changes in blood profile of human immunodeficiency virus (HIV)- infected patients on highly active antiretroviral therapy (HAART) in North Eastern Nigeria. J AIDS HIV Res 5: 284-291. Kouri YH, Borkowsky W, Nardi M, Karpatkin S, Basch RS (1993) Human megakaryocytes have a CD4 molecule capable of binding human immunodeficiency virus-1. Blood 81: 2664-2670. Mayar AM, Erick VW, Roberto A, Thomas G, Jose S (2014) Eosinophilia in HIV-infected patients. Baylor College of Medicine. Walker RE, Parker RI, Kovacs JA, Masur H, Lane HC, et al. (1988) Anemia and erythropoiesis in patients with the acquired immunodeficiency syndrome (AIDS) and Kaposi sarcoma treated with zidovudine. Ann Intern Med 108: 372-376.